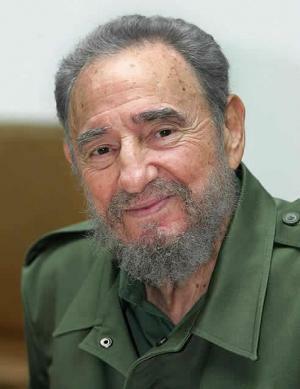 The leader of the Cuban Revolution insists that we will never stop struggling for peace and the well-being of all human beings, for every inhabitant on the planet regardless of skin color or national origin. All of us in our youth heard talk at some point about Einstein, in particular after the explosion of the atomic bombs which pulverized Hiroshima and Nagasaki, putting an end to the cruel war between the United States and Japan. When those bombs were dropped, after the war unleashed by the attack on the U.S. base at Pearl Harbor, the Japanese Empire had already been defeated. The United States, whose territory and industries remained removed from the war, became the country with the greatest wealth and the best weaponry on Earth, in a world torn apart, full of death, the wounded and hungry. The Soviet Union and China together lost more than 50 million lives, along with enormous material damage. Almost all of the gold in the world landed in the vaults of the United States. Today it is estimated that the entirety of this country’s gold reserves reached 8,133.5 tons of this metal. Despite that, tearing up the Bretton Woods accords they signed, the United States unilaterally declared that it would not fulfill its duty to back the Troy ounce with the value in gold of its paper money. The measure ordered by Nixon violated the commitments made by President Franklin Delano Roosevelt. According to a large number of experts on the subject, the foundation of a crisis was created, which among other disasters threatens to powerfully batter the economy of this model of a country. Meanwhile, Cuba is owed compensation equivalent to damages, which have reached many millions of dollars, as our country has denounced throughout our interventions in the United Nations, with irrefutable arguments and facts. As has been expressed with clarity by Cuba’s Party and government, to advance good will and peace among all the countries of this hemisphere and the many peoples who are part of the human family, and thus contribute to the survival of our species in the modest place the universe has conceded us, we will never stop struggling for peace and the well-being of all human beings, for every inhabitant on the planet regardless of skin color or national origin, and for the full right of all to hold a religious belief or not. The equal right of all citizens to health, education, work, food, security, culture, science, and wellbeing, that is, the same rights we proclaimed when we began our struggle, in addition to those which emerge from our dreams of justice and equality for all inhabitants of our world, is what I wish for all. To those who share all or part of these same ideas, or superior ones along the same lines, I thank you, dear compatriots.